Patient feedback is critical to the success of your PT practice. You need insights on treatments, staff, facility and communications. 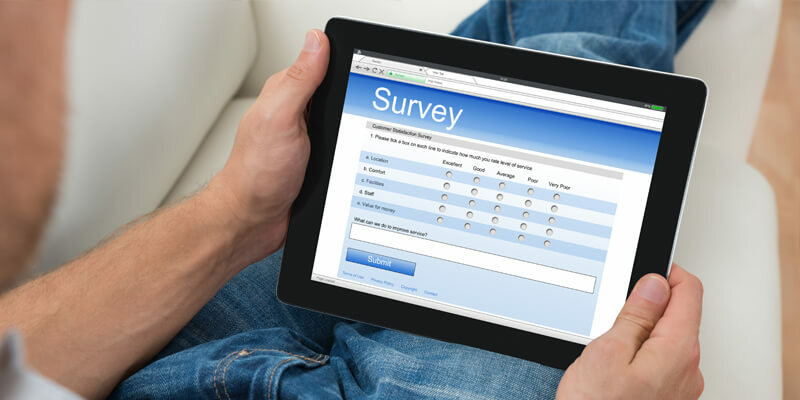 Sending a patient satisfaction survey helps you to gauge your clinic’s overall performance. It can also solicit new reviews and testimonials. There are several key elements within your survey design and execution that can make all the difference as to whether patients complete the survey and provide honest feedback. Use a free survey tool. There are plenty of great, free online tools that you can use to minimize your efforts in creating and managing the survey program. We recommend Survey Monkey for its easy set up and variety of plans and reporting options. Ask less than 10 questions. No one wants to spend more than 2-3 minutes completing a survey, so keep it short and sweet. Focus on the key areas of interest: treatment, staff, facility, communication etc. to streamline the survey and increase completion rates. It is helpful to order the survey questions in the same flow as the patient would have experienced their visit. For example, start with asking how the patient found out about your clinic. Then, end with will they come back to your practice for PT in the future. Use ratings to improve data and analysis. A ratings set could be—on a scale of 1-5 with 5 being Very Satisfied, and 1 being Not At All Satisfied, answer the questions below. This answer method allows patients to rate their satisfaction with their experience and helps to provide consistency across patient responses. It also avoids tying the ratings to an emotion (ie. happy v. unhappy). Emotions tend to be more subjective and less accurate in assessing the clinic’s performance. Include a write-in option for more details and reviews. Write in answers often have a very general question. For example, “Please provide more details and comments about your experience at ABC PT”. This allows the patient to leave a good review for their PT. Conversely, it also gives them the chance to write about a possible improvement to their experience. Place this question towards the end, but not as the last question, to encourage completion and quality feedback. After you have designed your patient satisfaction survey, it is ready to be implemented into your routine marketing and communications. There are two key points in the patient experience where you should request feedback: after the initial visit and after the completion of treatment/discharge. There are pros and cons to each option. The right fit for your practice depends upon your current needs and observations. Are you seeing a number of patients who do not complete treatment or who are no-shows for the first appointment? If so, you should request a patient satisfaction survey after the first visit. This will help to identify what may be leading patients to not complete their care. It could be anything from poor scheduling by the front desk, to too long a wait time, to unclear insurance policies. Once you can identify what is happening, via the survey feedback, then you can work to correct the problem. If you are seeing a good number of patients be successfully discharged, then request a patient satisfaction survey after the last visit. This will allow you to evaluate the patient’s experience throughout their entire course of care. Be sure to include a question about whether they would return to you for PT or refer their friends and family. Consider even adding an incentive, such as a $20 gift card, for a referral. Patient satisfaction surveys are a mix of qualitative and quantitative analysis on the patient experience. You want to identify your learning and data goals, and minimize the effort to manage the survey program. You also want to maximize the information generated from the complete feedback. Learn more about PT marketing and patient engagement strategies today!